Walk from your student accommodation to shop in the big department stores at Manchester Arndale or the stores in Market Place. Pick up quirky vintage finds at Pop Boutique or trawl for vinyl at Piccadilly Records. Wander about Spinningfields, stopping at a restaurant by the river, like Australasia, for lunch. Plan evenings out at the theatre watching a play at Palace Theatre. See bands play at music venues like Gorilla or Fallow Café then enjoy drinks afterwards in the bars of the Northern Quarter. Change tack on Sundays and cycle along the Green Corridor or head to Tatton Park for a picnic. 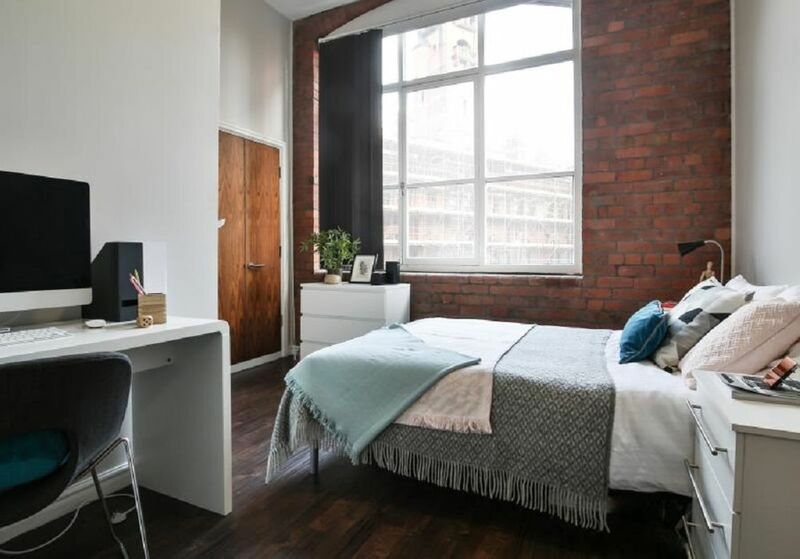 Whether you pick iQ Warehouse One & Two, you’ll be no more than a few minutes’ walk from the University of Manchester and Manchester Metropolitan campuses. 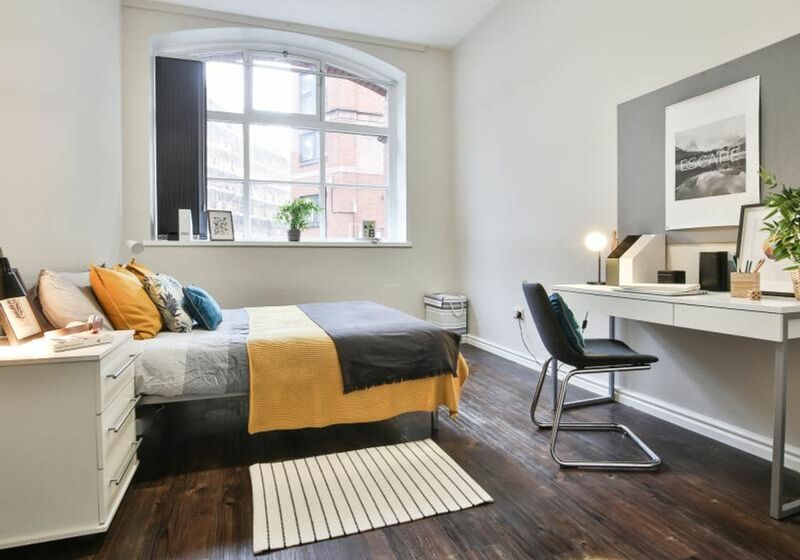 Close to the historic Sackville Street building of University of Manchester you can access all the university facilities easily. Go shopping, eat out or hit the bars in the city centre, walking home when you’re ready to crash. Manchester Piccadilly station is a one-minute walk away if you want to take a trip to London or head off to Birmingham for the day. As well as having your own space at iQ Warehouse One & Two, you’ll have access to the facilities at iQ Lambert & Fairfield House right across the road. Meet friends at the bowling alley, show off your vocal stylings in the karaoke rooms, use the gym or head to the study rooms when it’s time to crack on with your work. You can always study in your studio or the one- or two-bedroom apartment you’ll share with friends. All have equipped kitchens, plenty of storage and private bathrooms. 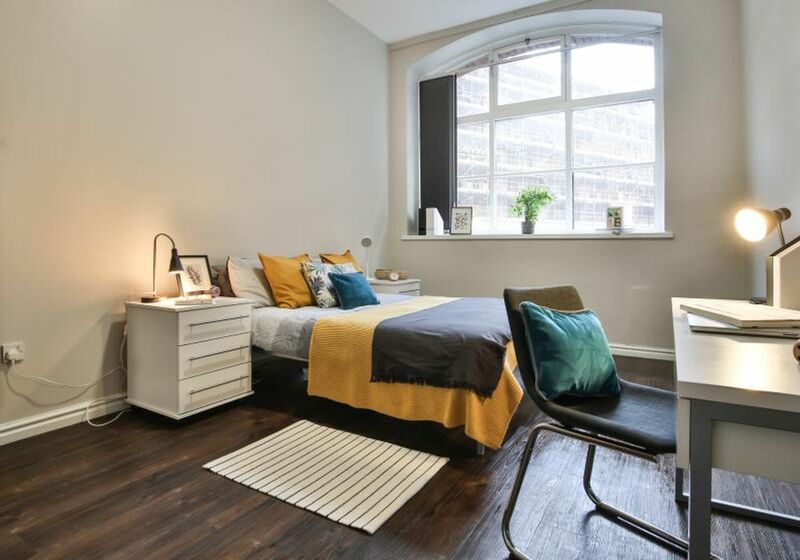 Enjoy modern decor in a stunning period building with exposed brick walls and big windows. 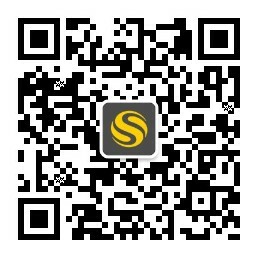 Take a nap on your bed or use the Wi-Fi to do some research or chat to friends back home via video call. Use the washer and dryer in your apartment any time you need to do your laundry. Take the stress out of budgeting with simple all-inclusive rent that covers utilities, Wi-Fi and contents insurance so you won’t have to worry about a thing. We couldn't find a room that matches your preferencesView all Private Room in iQ Warehouse One & Two. We couldn't find a room that matches your preferencesView all Entire Place in iQ Warehouse One & Two.